Figure 4.19. System thermal integrated specific impulse. 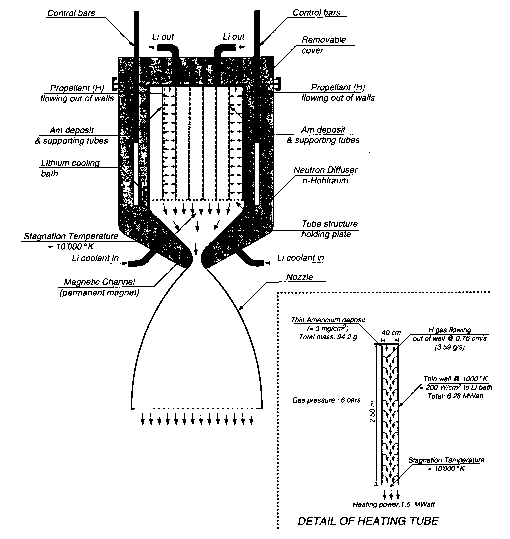 At 2,000 R (1,111 K) the hydrogen specific impulse is 509 s, or better than a hydrogen/oxygen rocket. For a scramjet engine with an equivalence ratio greater than one, this can produce 30% or more of the engines net thrust [Novichkov, 1990]. Applying this approach and using Builder's Second Law, the impact of fuel temperature injected through Mach 3 nozzles in the combustor wall (Figure 4.19) can be assessed.